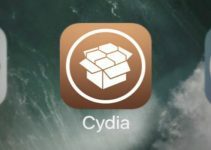 A lot of users are reporting that Cydia Impactor is not working. This issue seems to be plaguing Windows users only. Here’s how to fix http-win.cpp:158 error. Cydia Impactor not working means you will not be able to re-jailbreak your device with Yalu or Pangu. So being the jailbreak expert I am, I wrote a nice guide for all users. March, 3 – Cydia Impactor isn’t working for Windows users because Apple has revoked its self signed certificate. March, 11 – Saurik has updated Cydia Impactor to version 0.9.39 to fix http-win.cpp:158/SSL error. Try it. March 13 – Cydia Extender has been released. Use method 7 to install it. Here are the details of http-win.cpp:158 error and why it occurs. Were you able to fix http-win.cpp:158 error? This error occurs due to SSL (Secure Sockets Layer) certificate issues. Cydia Impactor has its own self signed certificate that it uses to sign unsigned IPA files/packages. As Apple has revoked its certificate, you are bound to get this error while using Impactor. If you haven’t rebooted your device, use method 1. If you have rebooted your device, use method 2, 3, 4, 5, 6 and 7. Take a look at each method carefully and use the one which one is suitable. If you don’t know which one you should use, just leave a comment below. I will be happy to help. 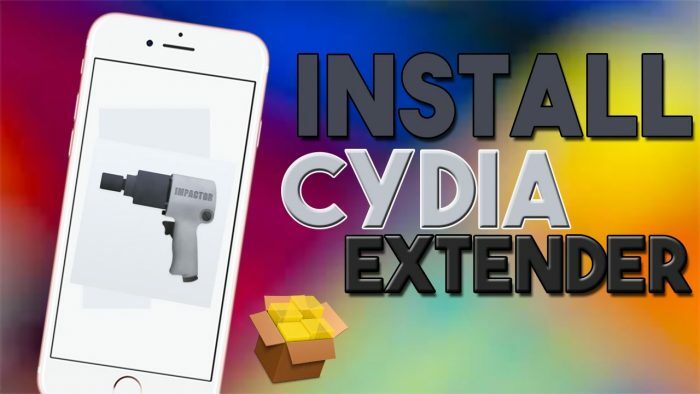 This tutorial is for Windows users only as Cydia Impactor is working on macOS. Some users are also reporting http-win.cpp:158/131/SSL error on Mac. If you are on Mac, try using method 1,5 and 6. We will use a “trick” that will bypass http-win.cpp:158 error completely. It will allow you to run applications without renewing their certificate. If you have already rebooted your device, this tutorial will not work for you. It only works for users who are in jailbreak state. Step 1 Firstly, you need to find when you renewed Yalu’s certificate last time. 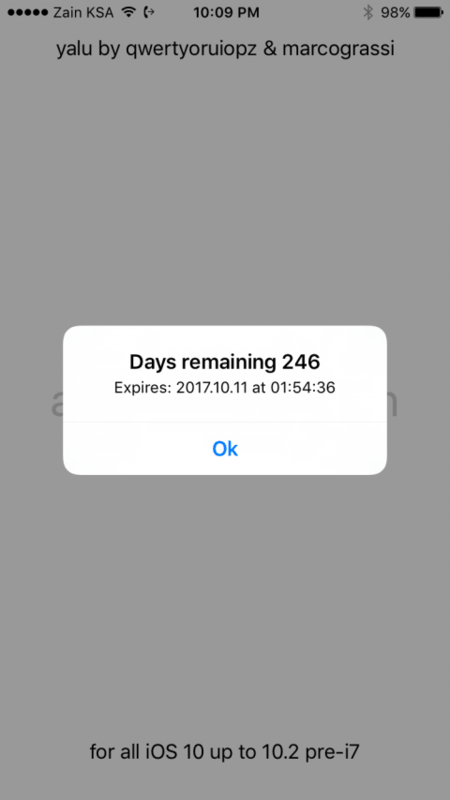 You can use CertRemainTime or YaluTime tweaks to find this date. However, if you don’t have either of these tweaks, you can still find the info you need. Navigate to the folder where Yalu and other jailbreak files are located. Look for the file having .p12 extension. This file is called the “Personal Information Exchange” file. Simply look at the date when it was modified the last time. This is what we need. Step 2 Open Settings on your iOS device. Step 3 Change the date to the exact date that we found above in the first step. Step 4 Open yalu102/mach_portal application from your home screen. Tap “go” to put your device in jailbreak mode. Step 5 Change the modified date to the actual date today in your device’s Settings. You’re all set now! Remember, DO NOT REBOOT. This is more of an alternative rather than a proper fix. You are covered until Cydia Impactor starts working again on Windows. Your device should stay in jailbroken mode. Wait for an actual solution to this problem. This method will work even if you have rebooted your device. Use Cydia Impactor on a Mac. If you don’t own a Mac, try borrowing it from a friend or relative. If you still can’t get access to a Mac, follow other methods. Install macOS operating system on Virtual Box/VMWare in Windows and then use Cydia Impactor. If you don’t know how to set up Mac VM, just comment below and I will write a tutorial for you. A lot of users requested a tutorial for setting up macOS on Windows with VMWare. So here’s a step by step video tutorial explaining how to setup Mac OS VM on Windows. Download all the needed programs from our Facebook page for this guide. If you have an AMD CPU, it will not work. It works on Intel processors only. Make sure you have plenty of RAM too (at least 4 gigs of RAM). It’s a bit long so be patient and follow the steps exactly as given below. Before starting Virtual Machine, navigate to Edit VM Settings. Change USB standard to USB 2.0 instead of the default 3.0. If this seems a bit complicated, try method 4 instead. It has a 100% success rate for fixing http-win.cpp:158/131 error. This isn’t exactly a fix but you can still try it nonetheless. Some users are still reporting http-win.cpp:158 error with this method though. Now try using Cydia Impactor for at least 10 times and see how it goes. That’s all there’s to it! I hope this fixes your problem. For fixing any other Cydia Impactor error other than http-win.cpp:158, follow this tutorial. If you have rebooted your iPhone, iPad or iPod, try this method. We are going to use the Chinese version of Yalu called 25PP jailbreak. You DO NOT need Cydia Impactor to use this tool. You will not face http-win.cpp:158 error with this method. Try using BaytSigner utility. For those who don’t know, BaytSigner is a web based Cydia Impactor alternative developed by iMokhles. It works exactly like Cydia Impactor. The only difference between this tool and Cydia Impactor is that it is web based while Impactor runs locally. It will complete fix http-win.cpp:158 error. I would suggest using a throwaway Apple ID for it. It only supports yalu102. If you are using mach_portal, it will not work for you. I wouldn’t really recommend this method. However, desperate times call for desperate measures. So we are going to use Yalu IPA file from Zerostore or Pgyer. Pgyer is a completely legit site. So I recommend you use Pgyer instead of Zerostore. Since there’s no need to use Impactor, you will not get the dreaded http-win.cpp:158 error. This method will still work if you have rebooted your device. It only works for yalu102 supported devices. If you are on iPhone 7 or iPhone 7 plus, it will not work in your case. 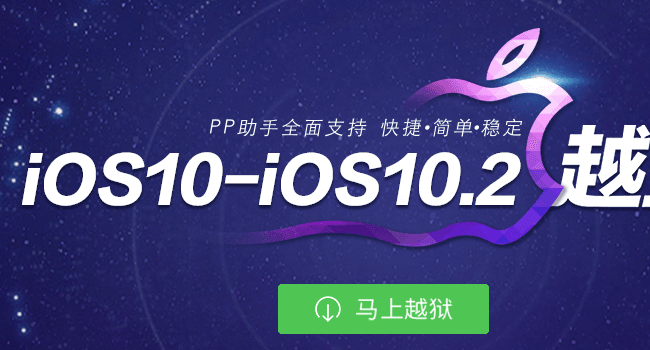 Install yalu102 IPA file from the website. Go to Settings > General > Profiles & Device Management and trust its profile. Jailbreak your device by tapping “go”. This method has a much higher success rate on iPhone than iPad or iPod. For the love of all that is holy, do not reboot your device after using this jailbreak. It only causes issue if you reboot. If Zerostore jailbreak messes up your device (like it did mine), I have a fix ready for you. So go ahead and try it. 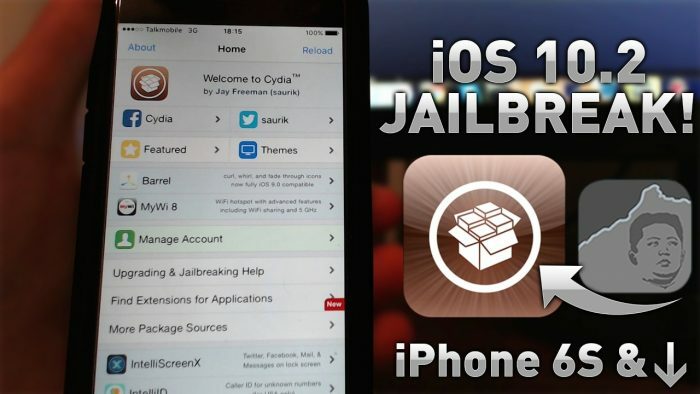 Saurik has released the Cydia Impactor alternative for iOS. It is called Cydia Extender. This tool signs Yalu jailbreak on-device without computer/Cydia Impactor. Here’s how to install it. If you want install it with iFunBox, then you will need a computer. For the first tutorial, a computer is not necessary. I am certain these method will fix the http-win.cpp:158 error. For some strange reason, the http-win.cpp:158 error occurs only on Windows. Cydia Impactor seems to be working just fine on my Mac. The cause of this issue is not clearly known yet. I’m amazed as it doesn’t seem to be an issue with Apple’s servers at all. Saurik hasn’t weighed in with his opinion yet. Hopefully, he will release a fix for http-win.cpp:158 error soon. If you liked this tutorial, kindly share it on Facebook and Twitter. If you are still facing errors, just drop a comment below. Hello, Natan. Please send me a screenshot, if possible. What’s your device/firmware version? Hello, Kayleigh. Have you tried Zerostore? Is the latest version of Cydia Impactor working for you? It’s only for Zerostore. Pgyer is working just fine. I will update the fix. The above methods will not make use of Impactor while still jailbreaking your device. It will need Cydia Impactor though. Should I upload it? Yes, you can talk to Saurik on Twitter @saurik. That’s where he answers all the questions related to Cydia/jailbreak. Hello! i installed VW but it doenst recodnise the iPhone… it recondise it only in Windows…how can i fix this? Apparently, Impactor is not working on macOS as well. Just use 25PP jailbreak tool. It has a 100% success rate. Try it and report back. Try changing USB from 3.0 to USB 2.0 in Settings. Hello, Bartolomeo. Please try other methods as well. There’s no official fix as of now and apparently Mac users are also getting this error now. cydia impactor was updated a few hours ago to 0-9-39 but now the error in mountain lion is the same but with diferent number, first was 133, now 131, but the same ssl..keep searching the solution, thanks! I suggest you use 25PP jb instead. It is the Chinese version of Yalu or you can also use the Pgyer method. pgyer method works like a charm 🙂 Thanks Luca! how? i cant read chinese. Hey John, just use the buttons show in the screenshots below. theres no screen shots anywhere. Luca, thank you!!! this has worked!! sorry took me a few days. been busy with work. i appreciate it very much! Glad you got it working, John. Please like our Facebook page for more such tutorials. Welcome, Bartolomeo. Glad it worked for you. cydia impactor is definitely working on mac though? Yes, it is working flawlessly on Mac. Hello, yesterday after signed kodi ipa on Mac i received an email informing me Revoke performed to my developer account. Of course I have a dev account fee. What are the implications of this? Yes, Apple is revoking developer accounts right now. Just wait for Saurik to clear the air. Hello Chae, this tutorial will take a bit time for me to write. Kindly wait until then. I will be writing another tutorial that doesn’t need a macOS. Just hold on. Read the updated tutorial and use 25PP jailbreak tool. Good luck. Mac VM tutorial will be uploaded tomorrow.